There are two measurements that really matter when it comes to watch bands: the width of the band where it connects to the watch case, and the length. And there are many different ways to measure these two distances, depending on the watch band style and whether or not you actually have it with you. When measuring the width of the band, the best rule to a proper replacement fit is that it’s better to be tight than loose. 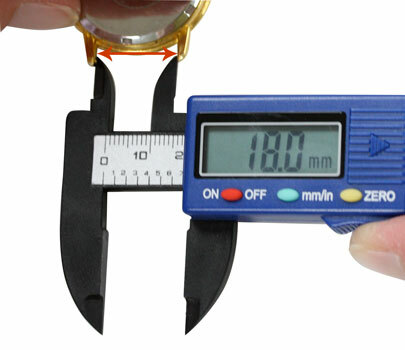 Particularly if the measurement falls between two whole numbers, it is better to round up because a loose band can easily twist out of the watch lugs and damage the watch case. When it comes to measuring the length of bands, you cannot always get a band that is the exact length you measured. Watch bands come is several specific sizes, outside of that you can adjust the bands to be smaller by adding notches to a leather band or by removing links from a metal band. You can sometimes adjust them to be larger by adjusting the watch clasps on metal bands as well. You don’t actually need to have a watch band to figure out what length and width watch band you need to fit your watch case. 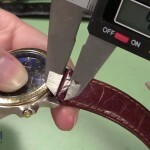 Learn How to Measure a Watch Band without a Watch Band here. 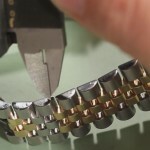 Because metal watch bands are made up of one large piece whereas leather bands are made up of two pieces, you need to use different methods to measure them. Learn How to Measure a Metal Watch Band here. 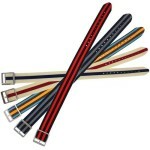 Any watch band that comes in two pieces like a leather band can be measured in the same way that a leather band can. 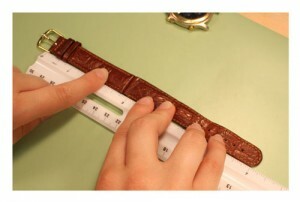 Learn How to Measure a Leather Watch Band here. 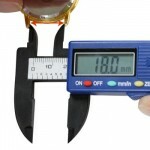 For styles like those found on sporty watch bands, where parts of the band are hidden inside the watch case, you will want to rely on this measuring technique for rubber sport watch bands. Learn How to Measure a Rubber Sport Watch Band here.